Joel Hanson graduated from USC with a B.S. in Business Administration. In addition to serving as President of TCG, he was involved on campus with the Trojan Investing Society. From Scottsdale, Arizona, Joel's hobbies include golf, camping, and international travel. Joel will be working full-time in PJT Partners' Restructuring & Special Situations Group in New York. Tilden Chima graduated from USC with a B.S. in Biomedical Engineering. In addition to TCG, he was also heavily involved in the National Society of Black Engineers where he helped lead the organization to become the best chapter in the nation as its Academic Excellence Chair. Outside his research, extracurricular and community service involvements, Tilden remains passionate about projects that intersect between software technology, healthcare and business. Tilden, who represented his graduating class of engineers at the 135th Commencement Ceremony as the USC Viterbi flag bearer, will be working full-time as an associate solutions engineer at Oracle Corporation upon graduation. Victor Liu graduated with a B.S. in Business Administration with a concentration in Finance. In addition to TCG, he was also involved in Alpha Kappa Psi, one of the professional business fraternities at USC. In his free time, Victor likes to explore LA’s food scene, cook, and powerlift. Born in Taiwan, Victor wants to eventually work back in Asia. Upon graduation, Victor will be working in investment banking at Bank of America Merrill Lynch. Michelle Han graduated with a B.S. Business Administration and B.A. in Psychology, and a minor in Musical Studies (Piano Performance). Upon graduation, she will be working at Parthenon-EY at their Los Angeles office as a full-time associate. Outside of TCG, Michelle served as co-president of the USC Consulting Club, and was involved in Troy Camp and the Office of Wellness and Health Promotion. She also served on the executive board of Psi Chi Psychology Honors Society. In her spare time, she enjoys exploring the LA food scene, hiking, and skiing. Laura Yin graduated with a B.S. in Business Administration and she studied abroad in Madrid during the Spring 2017 semester. Previously, she interned at The Boeing Company as a financial analyst and at Parthenon-EY as a summer associate. On campus, in addition to serving as President of TCG, she was a TA for the Global Leadership Program, a Marshall Student Ambassador and a member of Beta Alpha Psi. In her spare time, Laura is a TRX and F45 Fitness Instructor, a Black Mirror binge-watcher, and an avid Pacific Northwest hiker. Laura will be returning full-time to Parthenon-EY in San Francisco upon graduation. Drew Nahill graduated with a B.S. in Business Administration and a minor in Sociology. On campus, he was involved as Director of Recruitment of Society 53, served as President of the Trojan Business Alliance, and volunteered with Jumpstart. He will be working in management consulting, returning home to Boston to join Simon-Kucher & Partners. Ian Fergie majored in Industrial and Systems Engineering with a minor in Business Finance. In his time at USC, he served as Vice President of TCG. He will be in New York, working at Morgan Stanley in the investment banking division. Michael Rosenburg graduated with a B.S. in Business Administration and a minor in Political Science. He was actively involved at USC as the Co-President of the Trojan Investing Society and as a Marshall Student Ambassador. Ruth Guan received a B.S. in Business Administration with a minor in Consumer Behavior. During her time at USC, she was President of TCG, a competing member of the Marshall Case Team, and Vice President of Administration in Marshall Business Student Government. She will be joining Wells Fargo in San Francisco, working in investment banking. Michael Tong graduated with a B.S. Business Administration and a double minor in Professional and Managerial Communication and Philosophy. At USC, he served as Vice President of TCG, President of Residential Student Government, President of the National Residence Hall Honorary, and active member of the USC Triathlon Team. Michael is now working for Teach For America in his hometown in San Diego, where he will spend the next two years teaching low-income students. Varun Dhaon graduated with a B.A. International Relations Global Business and a minor in Business Finance. On campus, he served as the President of TCG, the Executive Director of the TIS Mentorship Program, the Vice President and Director-General of USC Model United Nations. He is currently an investment banking analyst at Lazard. 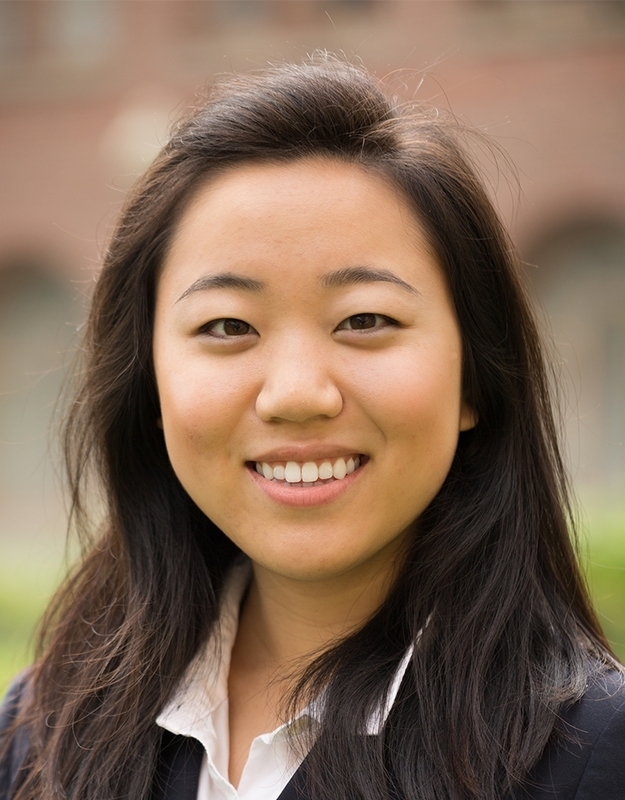 Megan Kao majored in Business Administration-Cinematic Arts and then obtained a Master of Accounting degree at USC. During her time here, she served as the co-president of TCG, Vice President of Administration for her business fraternity Alpha Kappa Psi, and trained with the Marshall Case Team. Sara Yang received a B.S. in Business Administration with a minor in International Relations. Invested in the intersection of business, design, and social impact, she served as the founding director of Design for America at USC, a Brittingham Social Enterprise Lab Scholar, and advisor for early-stage social enterprises. She is working at Accenture as a management consulting analyst in the New York City office. Joe Vanderlans majored in math and economics. He was actively involved as a research assistant in the math department. Joe is working in economic consulting at Cornerstone Research in the Los Angeles office. Christopher Bhutani graduated with a B.A. in Classics and a minor in Video Game Design. On campus, he was involved as a USC Provost research assistant in the archaeology department and was an active member of the Senior Classics League. Chris is currently pursuing his J.D. at the New York University School of Law. Patrick McGrorey studied Business Administration (Finance) with a minor in International Relations. On campus, he served as the Co-President of the Trojan Investing Society and was actively involved in his fraternity, Sigma Nu. He is now working at Barclays as a investment banking analyst in the Financial Sponsors group. Wesley Aster graduated with a B.S. in Business Administration and is currently working with Moelis & Co. Investment Banking in Los Angeles. In his spare time, Wesley is a portrait and landscape photographer and enjoys playing classical and blues guitar. Leslie Chang graduated with a B.S. in History. She previously served as the President of the Trojan Consulting Group and was also Co-President of the Marshall Case Team. She recently completed her masters at Cambridge University. Austin Bryon graduated with a B.S. in Business Administration. He is currently working for Raytheon. Anna Lin received a B.S. in Business Administration with a minor in mathematical finance. During her time at USC, Anna was a integral part of TCG and was the Senior Vice President of the Trojan Investing Society. Anna worked with Bank of America Merrill Lynch's Technology Investment Banking team after graduation, and she now lives in Hong Kong. Evan Popiel graduated with a B.S in Business Administration and a B.S. in Accounting. At USC, Evan served as the President of the Trojan Investing Society and a Team Lead for the Trojan Consulting Group. 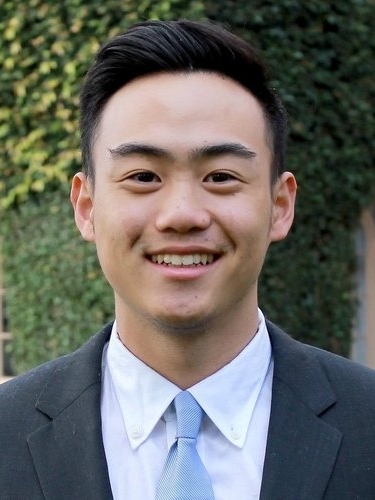 Upon graduation, he will be working as an associate with Summit Partners in Palo Alto. Simeon Lee received B.S. in Business Administration with a concentration in finance and accounting. Simeon has been a director in the Marshall Business Student Government, an officer in the Trojan Investing Society, and co-president of the Trojan Consulting Group. Simeon is originally from Naperville, Illinois and has interests in music, design, traveling, technology and finance. After graduation, Simeon will be working with RBC Global Investment Banking at their Wall Street office. Reed Semcken received a B.S. in Business Administration with a minor in English. A previous Vice President of both the Trojan Consulting Group and the Sigma Alpha Epsilon Fraternity, Reed was heavily involved with leadership across USC. Reed has previously interned with NBC, Edison International, Fox News, and AT&T. Moving forward, Reed will be working at Microsoft at their headquarters in Seattle as part of their MACH Finance program. Reed was recently featured on NBC Los Angeles. Carmen To received a B.S. in Business Administration with an emphasis on Finance and Management Consulting. She was a previous co-president of TCG as well as a competing member of the Marshall Case Team. Additionally, she founded the Marshall Network in the Marshall School of Business. Carmen has previously interned with PwC and BCG and post-graduation she will be working full-time with the Boston Consulting Group at their Los Angeles office. Ian Lommerin graduated with a B.S. in Business Administration. Before USC, he spent two years at UC Santa Cruz before transferring. He previously held internships with Del Monte Foods, and is now working with the corporate finance team at Intuit. In his free time, he enjoys concerts and staying active. Kirk Manoogian graduated with a B.S. in Business Administration. He is currently working for Cornerstone Research at the Los Angeles office. Alex Jacobson graduated with a B.A. in International Relations Global Business and a minor in Music Studies (Jazz Drums). In the past, he has interned at the United Nations, Wells Fargo, and Aetna Insurance. He is currently working for Warner Bros in Los Angeles. Copyright © Trojan Consulting Group 2001-2018. All rights reserved.